Smart n Snazzy: Kate Spade Jewelry Dupes at Target! Hey lovelies! Like everyone, I love Target. I mean, I loooove Target. They continue to step up their game season after season. 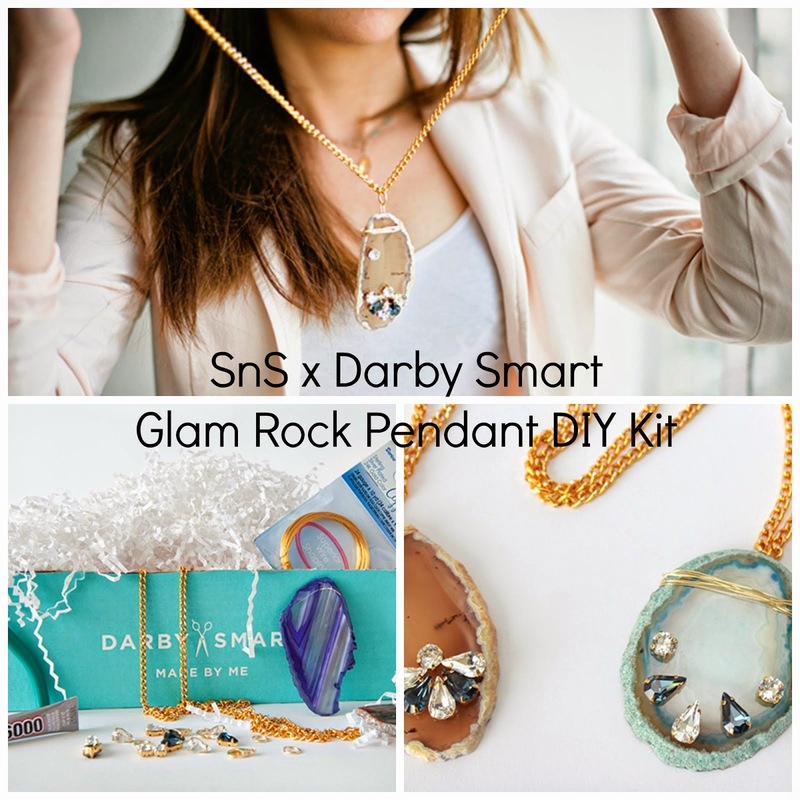 So imagine my surprise when perusing some of their accessories, and I immediately thought they looked eerily familiar. 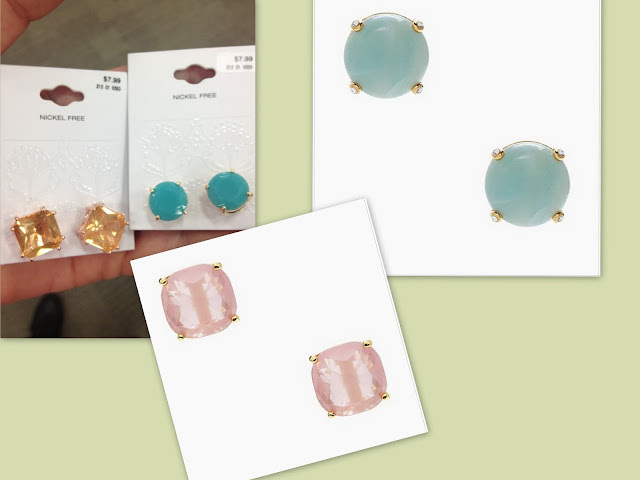 While they aren't spot-on dupes, there's definitely some Kate Spade inspiration in Target's jewelry. 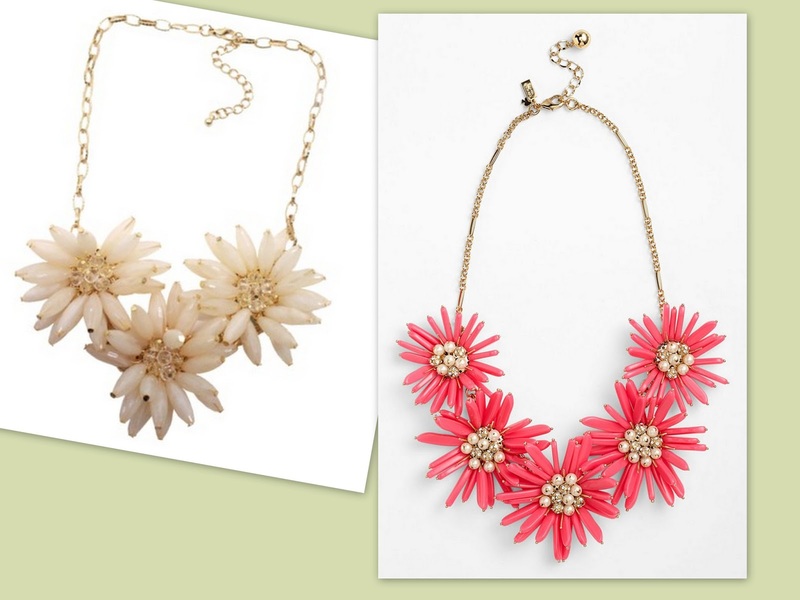 The necklaces above are definitely similar, though not exact. While the Kate Spade 'Field Day' Bib Necklace will set you back $278, the Target Sculptured Beaded Flower Bib necklace only costs $16.99. Now I can't speak for everyone, but on a trendy piece like this, I'd rather save $250 (or put that towards my student loans!) and pick up the 'cousin' necklace from Target. The earrings are also 'cousins' (see what I did there? lol), but at $8 a pop, you can get both for less than the cost of one pair of the originals by Kate Spade. Besides, once they're on no one will be able to tell the difference! Have you spotted any similarly inspired pieces in stores lately? Would you rather the designer pieces (and prices!) or the bargain ones? I love the coral floral necklace!